Here is a simple idea which makes you smile. 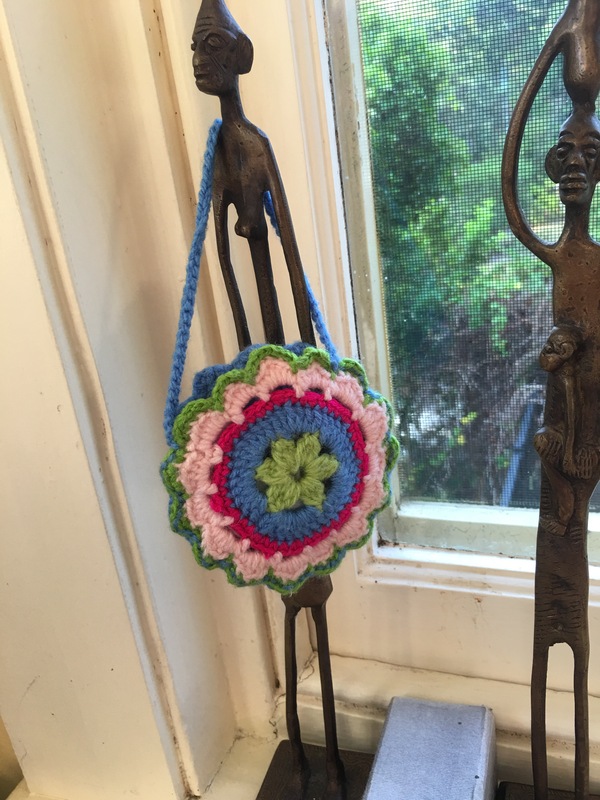 Creating little crochet items is very satisfying, especially when you’re not really the committing kind… Like me. I find long projects daunting, blankets done to death and oh my god I’m never going to crochet anything that takes more than a page for the pattern. Yes… That’s my motto. If the pattern runs into more than 1-1.5 pages, I’m not going to try it. Obviously that’s going to change if it’s a really small book or a really new edition of those modern crochet books with big photos, which take up more space than the writing, or if it’s a pattern that gets my juices flowing. Then yes, sadly, like letting go of NYE resolutions, I’m going to have to give up my motto and try it out. Anyway, that’s not happened yet… Moving back to this petite little flower. It’s a very simple idea for a ear phone case. 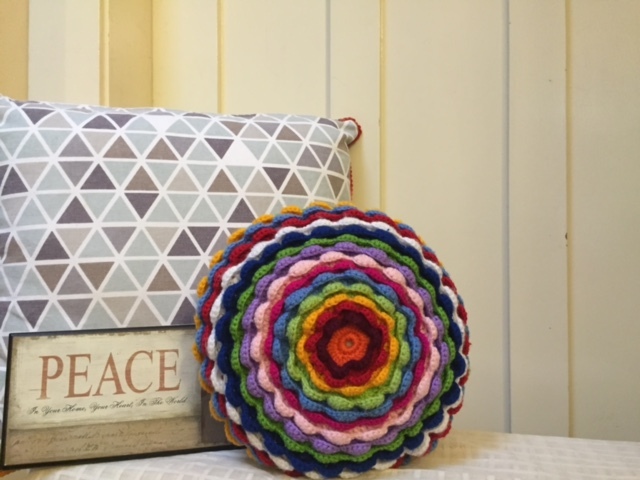 Make a flower of your choice, crochet a back for it, sew together and bingo! Chain 3, 4 tr together, pull through all the loops on the hook in one go, this makes 1 petal (in green) chain 3,( 5tr together chain 3 ) four more times to get 5 petals. Slip stitch in top of first petal to finish. Cut yarn. With the same colour, slip stitch in nearest 3 chain space. Make a petal by (sc, hdc, tr,tr, hdc, sc). slip stitch into next 3 chain space, repeat. Make a petal in each 3 chain space. Slip stitch in first sc. cut yarn. Take a new colour, (green), sc in each stitch in previous row, with a hdc in between two petals. Slip stitch in first sc. cut yarn. Make back in same way. Sew ends together with a wool needle and yarn, leaving a semi circle opening. Chain 20 and sc to openings of purse on either side to make handle.